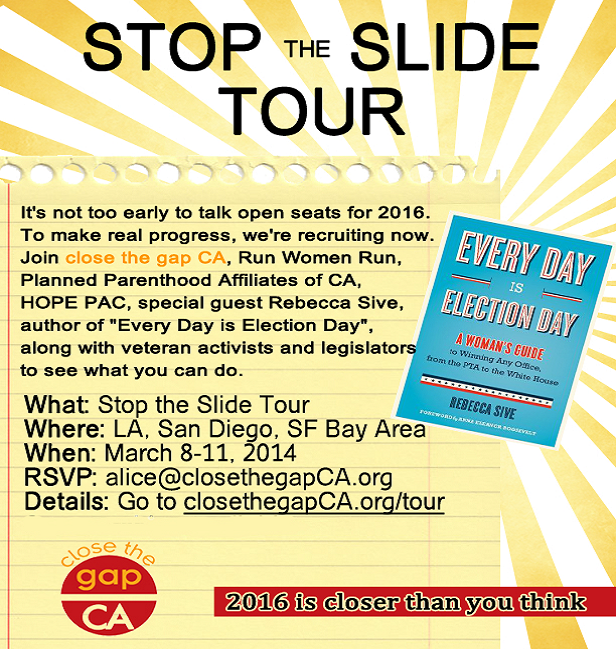 Led by Betsy Cotton and Mary Hughes, co-creator of the 2012 project of the Center for American Women and Politics, @Close the Gap California is the organizer. I’m delighted to tell you I will join the campaign, speaking about the need for more women in politics and my guide for getting there: #everydayiselectionday. I will be in the Bay Area, Los Angeles and San Diego. I hope you will encourage friends and colleagues there to join in, too. Here is a recent review of #everydayiselectionday, from Jewish Women International (formerly B’nai Brith Women), which mentions some of the amazing women who could give the #SOTU, no doubt.